A contemporary take on the classic wing-back design. 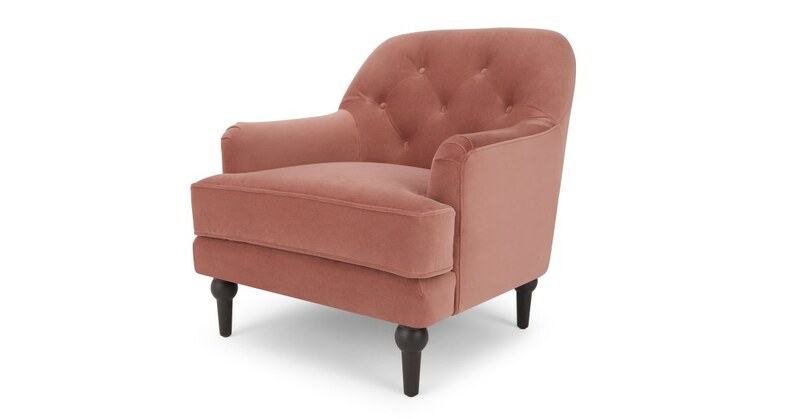 Flynn’s been updated with simplified lines and pink velvet for extra sophistication. This is made for relaxing – deep and inviting with a low, medium-soft seat. In soft, tactile velvet with dark stain legs to complete the look.